Curiouspoints: Are the popularity of other Indian sports back? Recently in an interview former Olympic gold medalists Abinav Bindra remarked, "I'd follow Team India's performances, but have stopped doing so after Sachin called it a day... He was different, definitely, a cut above the rest," For once the focus in Indian sports seems to be shifting from cricket, ever since Sachin's, Saurav's, Dravid's retired, the Indian sports audience seemed to look for new alternatives. With new sporting hero coming up in every other sport. This week saw Indian sporting fraternity achieve new heights, while some were historical, some were regulars, while one was a game against arch rivals. We all know Indian cricket team has won the third one day International against New Zealand and that the heroes were Virat Kohli and MS Dhoni, probably one of the few reasons Cricket still has huge followers in India. But there were few others that were worth the news. India won an unprecedented third successive Kabaddi World Cup title defeating Iran 38-28 in the final. After suffering a shocking defeat to South Korea in the tournament opener, the Indians came back strongly winning all their games to the final. In the final, there was little slip up at half time, when India were trailing by 5 points, but came back stronger to win the game. 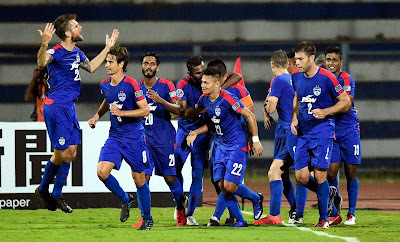 For Indian football, Sunil Chhetri's two goal burst ensured Bengaluru FC script history by becoming the first Indian football club to reach this far till the final of AFC Cup, Asia's equivalent of UEFA Europa League. What was more heartening to see was, the game got support from all corners of the country from celebrities, sports ministries, Athletes etc. Rival clubs too came out in support of Bengaluru's FC's asian venture with age old legacy clubs Mohan Bagan FC and East Bengal FC issuing club statements regarding thier support. The game itself had a good quality football as the Indian champions managed to defeat the defending champions Johor Darul Tazim from Malaysia 3-1(4-2 Aggregate). The Match was witnessed by more than 21000 fans who came down to the game to witness history. Although It was just a group stage match, a game against arch rival Pakistan is always meant to be won. And after trailing 2-1 at one point, Indian team came strongly to win the game 3-2, as they moved to the second spot on the Table below only to host Malaysia. India are still unbeaten in the league and looks like they would qualify for the semifinal and being one of the top ranked team in the competition, they maybe even expected to win. 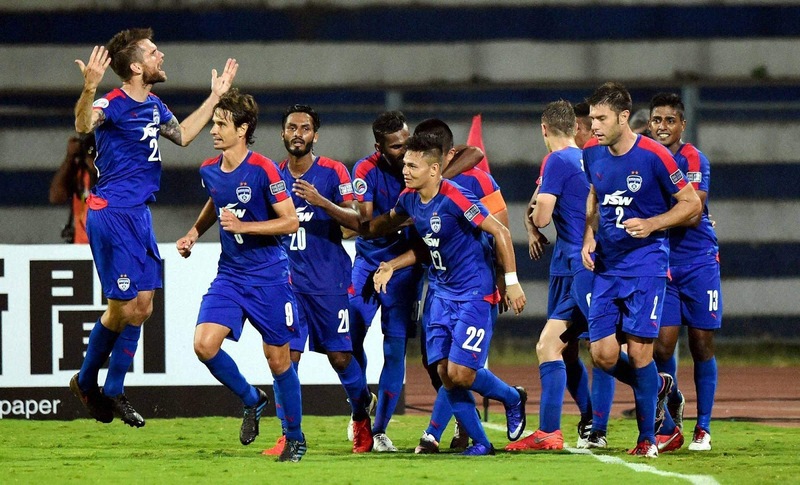 As the final of Hockey result are awaited so is the final of Bengaluru FC's game in the AFC cup. A win at both the ventures will surely open up more doors for Indian sports enthusiasts to enter. Over the last few decades, Cricket was one reason when the entire country stood together, Now its changing, the support this games garnered has ensured the other Indian Sports fraternity as a new opportunity to rise up, with the Bengaluru FC's game against JDT, India's Kabbadi world Cup Victory and the victory over Pakistan becoming the top trending topics in the country. It's Time Indian sports media start mentioning other sporting achievements in their news channel. 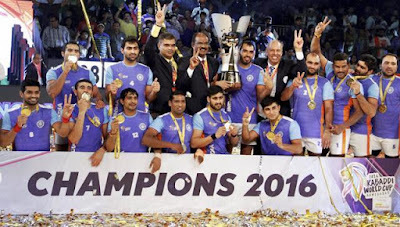 While the Kabbadi world cup victory and Indian Hockey's victory against arch rivals is getting coverage by mainstream media, its time Football and others get the same mentioning too. 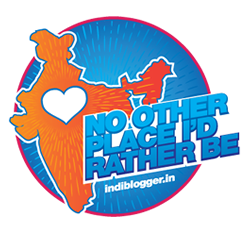 Share your opinions on what do you think about the Indian sports present situation.